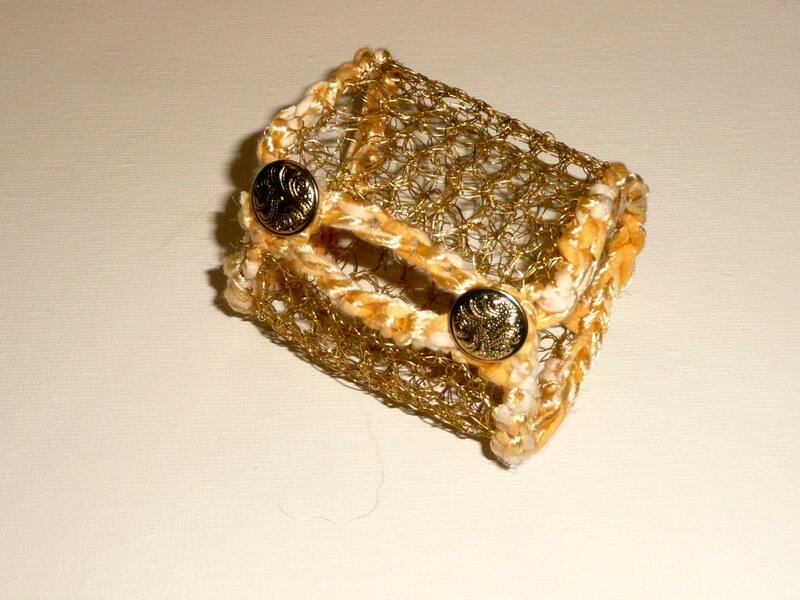 Yellow Mesh cuff bracelet. 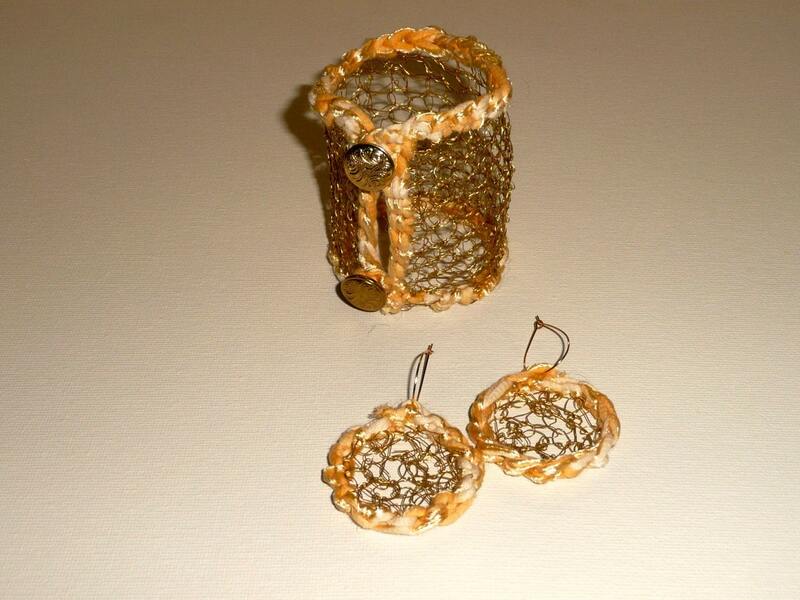 Crocheted in gold tone wire trimmed with a beautiful yellow yarn. 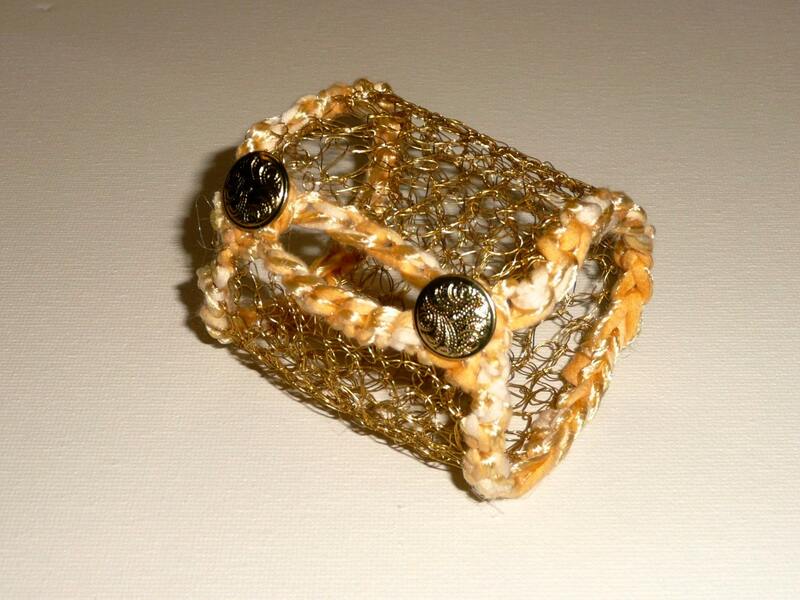 This cuff bracelet has been crochet in gold artistic wire and trimmed with a soft and beautiful yellow cotton and silk yarn. Its light weight will make you love how it unadvertedly sits on your wrist. Its uniqueness will make you feel special. Its boldness will make you gain admirers for the intricate work and the elegand results. It will be the perfect complement for an informal look or the elegant piece that finishes up a more polished outfit. It closes with two vintage golden buttons. 6 3/4 inches or 17 inches long.